Ooh controversial statement, I know! So hear me out. Karen Millen is EXPENSIVE, yes? But they do offer some gorgeous clothes. I love their statement dresses that you can spot a mile off – but at £100 plus for a frock it isn’t cheap by anyones standards. This is where Jane Norman comes in. Did you know they were still around? A favourite of teens around the country – when I was at school Jane Norman was the store to shop in, and if you didn’t have a neon orange rope handle branded bag to carry your p.e kit in you were NO ONE. Anyway fast forward to the present day and Jane Norman can be found in House of Fraser and is still going strong online. They have a great mid-range price point that’s friendly on the wallet, and after browsing their site for a while I noticed some of their pieces really reminded me of none other than uber expensive smart-wear fashion brand Karen Millen. With sleek feminine shapes, fitted dresses and striking colour contrasts and prints, Jane Norman really reminds me of a more purse friendly Karen Millen… I’ve picked out some of my favourite items and compared them below – enjoy! Karen Millen are famous for their statement fitted dresses, above is the Mesh Block Knit Dress for £130 and on the right we have the Jane Norman Monochrome Mesh Panel Dress for £40 – what a bargain! 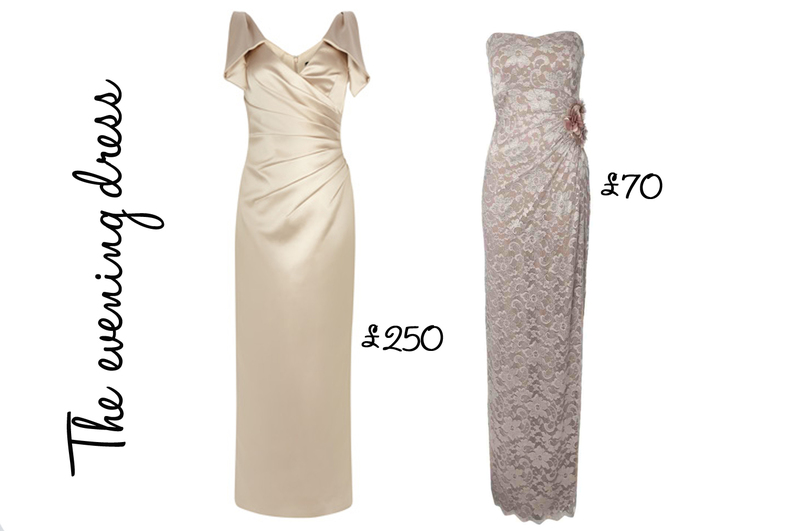 Don’t forget your fancy evening style dresses – that we all need once in a while to attend awards ceremonies and what not 😉 Again Karen Millen’s Satin Maxi Dress is on sale for an eye watering £250 (on the right) and the super pretty Lace Bandeau Corsage Maxi Dress, by Jane Norman comes in at just £70 (on the left). The lace dress is so pretty, it’s a clear winner for me. 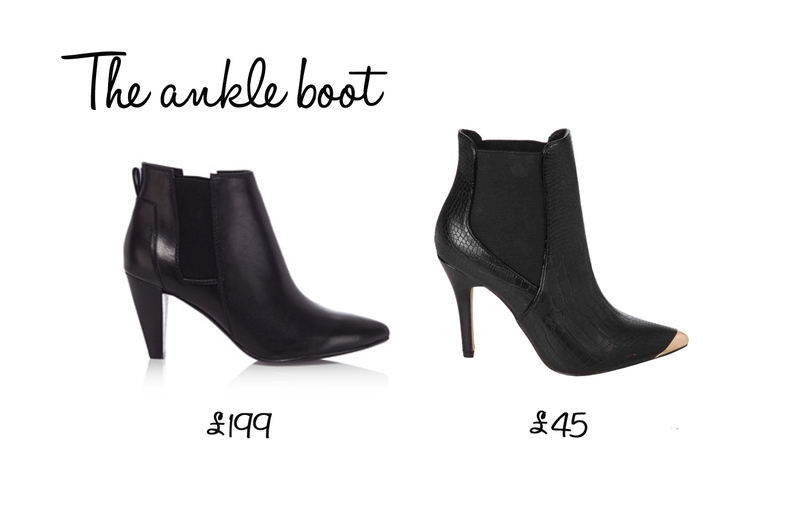 We all need ankle boots, I can’t love without mine. These Leather Ankle Boot from Karen Millen, with a peg heel come in at a purse-clenching £199 – the price point really is too high for such a plain looking boot for my liking. The Elastic Insert Ankle Boot from Jane Norman, with a mock-croc finish and gold toe cap, is just £45 though, this is more like it! The classic stripe dress. We have Karen Millen’s Stripe Tshirt Dress at £130, ouch! 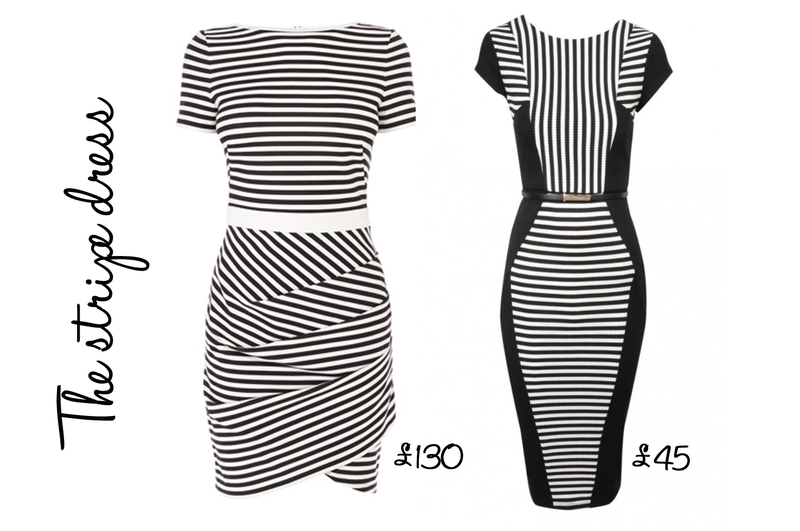 And Jane Norman’s Striped Panel Dress at £45. I love both of these so ut really does come down to the price for me. 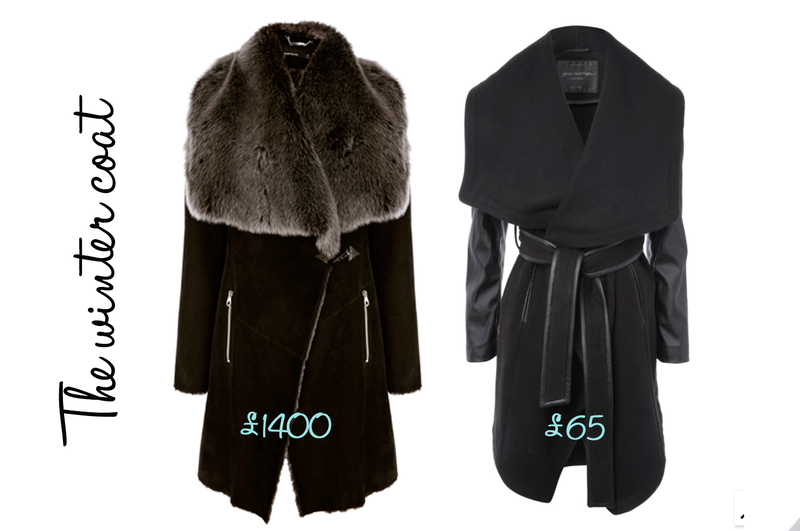 Ok so this one may be a slightly unfair comparison – the Karen Millen Draped Sheepskin coat on the left costs a complete fortune at £1400, I know it’s sheepskin but if I was ever going to spend over a grand on an item of clothing I’d be looking at something from a high end designer. The Jane Normal Belted Waterfall coat in a very similar style is a mere snip at £65. This post is in collaboration with Jane Norman.